The digital revolution has brought many new electronic payment methods into being. If you’re in business, particularly an online business, and still accepting only traditional payment methods, such as cash, cheques, bank transfers, or even credit cards, you may be unnecessarily putting off potential customers and should consider adopting electronic payment facilities too. PayPal, now owned by auction giant eBay, is the dominant electronic payment system in the world, although its British-based rival, Moneybookers, is also well-established internationally. There are also many other smaller firms which offer similar services. To be able to receive electronic payments via any of these systems, you will need to sign up for an account via the operating company’s website. Usually, a variety of accounts are available, with different fee structures, and you can opt for the one which suits you best. Naturally, in order to be useful, an electronic payment system has to interface with the world of real money at some point. You need to be able to convert real money into electronic money and vice versa. Naturally, too, there has to be a cost involved somewhere in the payment process or the company behind the payment system won’t be able to earn any revenue and stay in business. What the cost is, and at what point of the payment process it is levied, varies between the different payment system operators. PayPal, for example, lets you put money into your account for free and receive payments for free, but charges you a percentage if you convert your PayPal money into real money. For you as a merchant, the prime advantage electronic payment systems offer you is their simplicity. You may have enough knowledge of web technologies to be able to set a website up for yourself, or perhaps you paid someone else to do it. 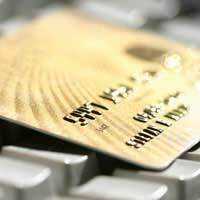 Either way, adding secure transaction capabilities to a website, with proper encryption to protect the flow of information, and interfaces to validation databases, such as those of credit card companies, increases the complexity factor of creating a website by several orders of magnitude. Then, once you have the whole thing working, you need to think about other related issues such as how data protection regulations apply to your records of customer information and transactions, or what your legal liability is if someone was able to hack your website and gain unauthorised access to that information. Electronic payment systems offer a way of outsourcing much of the hassle to a third-party. You don’t need to offer encryption on your website. You don’t need to worry about retaining or validating customer information. You simply provide a link to the merchant interface offered by the website of the company which operates the payment system. In fact, the simplicity of electronic payments is such that they can be used even if you have not yet set up a website for your business at all. With some electronic payment systems, all you need is an email address and your customers will be able to pay you. This can be very helpful when you’re just starting out on a new home business career. Electronic payment systems broaden your customer appeal. The more payment options you can offer your customers, the more customers you will have. Perhaps your favourite way of being paid is to get a cheque through the post. But you can be sure that many of your customers won’t share your enthusiasm for that particular form of payment, and may be put off buying from you at all if your payment options don’t suit them. If you deal with international customers, you can expect them to face unusual difficulties with conventional methods of payment such as bank transfers or cheques. And if you’re not dealing with international customers, why not? If British people are interested in the product or service you offer, others might well be too. By offering electronic payment options, you make it much easier to internationalise your business. Online payment systems also offer potential reassurance to your customers. If they have never dealt with you before, they may be wary of supplying you with their credit card or bank account details. By using an electronic payment method, however, the problem is avoided entirely. Your customers’ financial details stay with the payment system operator and never need to be communicated to you. If your business operates on the web, there’s really no excuse for you not to be using electronic payment methods. You can open yourself up to a whole new swathe of potential customers with very little extra effort or cost.